Aspire Academy were all in maroon today, and playing from a left to right direction in the first half; they had quiet a bit of strong wind on their backs today. It was looking fairly even, 12 minutes into the game. It had been pretty much all Aspire Football Dreams, in terms of ‘attacking play’, in the first half. Abunada was kept really busy throughout the match, and he was making some great saves for Aspire Academy. We were in the final three and a half minutes into the first half, and it was still nil-nil. The second half had a stuttering start, with substitutions and injuries. Abunada’s knee looked heavily bandaged, but he continued to play. Aspire Football Dreams made three changes at halftime, and Aspire Academy made a change four minutes into half time. I was quiet surprised that the coaches were making these changes – it’s not like anything really changes after halftime. Keita finally decided to go on his own, to bring a goal for Aspire Football Dreams; It was a mistake from Aspire Academy, after Al-Ali gave the ball away. Aspire Academy was working so hard in this match, but they were not able to create any clear cut opportunities. After the first 17 minutes into the game, it looked like Aspire Football Dreams were dominating the game. Aspire Academy looked like they had to push more, and try to create some opportunities. Nuhu was working hard on the right side of the pitch today; he is one of those players who have shown a lot of quality in this tournament. The referee should have let the game go on at times, even when a player or two went down – it looked like some of these players were diving. At this stage, as a player, you should not be diving at all; diving is for children. Aspire Football Dreams should have made good use of the wind on their side, in the second half. There was not much happening in the beginning of this half, for both sides. Once again, Aspire Football Dreams were working really great on the right hand side, but they needed more quality in order to bring any goals. The most worrying thing was, they were creating opportunities, and had great crossings too, but they did not have that finishing touch to their game. 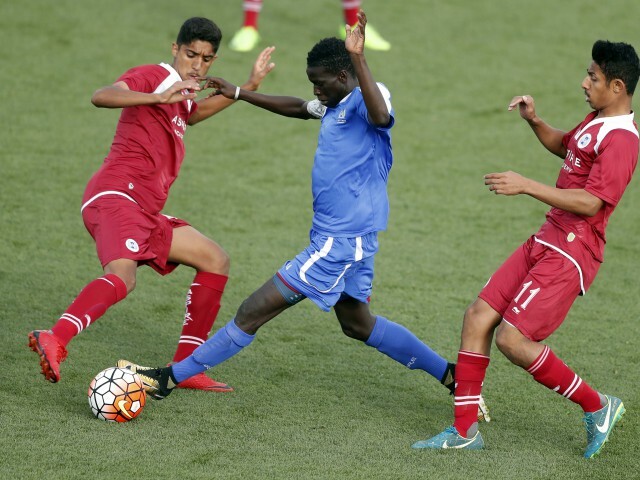 After Aspire Football Dreams brought in their first goal, it looked like there was no way back in the game for Aspire Academy.